Our team of certified technicians and engineers safely and efficiently maintains, repairs and rebuilds any size of control, block, gate and pinch valve. We provide on-site or in shop repair services to return your valves to their original working condition, on budget and on time. MWV is an independent valve service provider and "VR Certified" by the National Board of Boiler & Pressure Vessel Inspectors (NBBI) to service, repair, test and certify all makes and models of pressure relief valves for liquid, air and gas service. Shutdown management can be a resource-intensive activity to complete but is periodically necessary for a plant's proper maintenance work. Mountain West Valve is your trusted partner to manage plant shutdown in a cost effective manner. 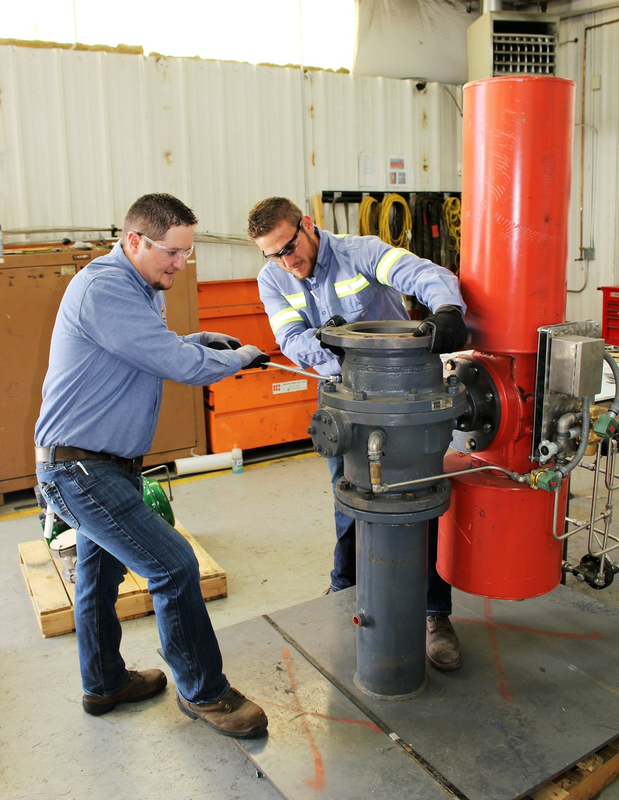 Mountain West Valve offers safe and expert removal of combustible contaminates from the surface of equipment or components in oxygen service, or other services that require an environment free from outside contaminates. Mountain West Valve is a full service actuator testing and repair provider. Our goal is to extend the service life of our customers' equipment and return it to like-new condition and performance by repairing actuators in a cost effective, on-time, error free manner. We provide field and repair services of Rosemount, Magnetrol, ABB and other control instrumentation. Our experienced technicians utilize HART and Fieldbus diagnostic test systems to troubleshoot and service any process control related equipment. Mountain West Valve, Inc. is a full service repair and test facility. We are not affiliated or represented by any one manufacturer. Each valve that leaves Mountain West Valve, Inc. meets or exceeds applicable FCI-70-2-2013, API-6D or ANSI standards.